Raph boogie’s back with another, 214 page full colour documentation of production nerds in their labs. Independent producers and DJs have been busy creating world class music in bedrooms, kitchens and garages for years. Meanwhile, photographer Raph Rashid has traveled the globe, gaining access to these inner sanctums, one by one. The tremendous variety of set-ups and layouts used by in-home producers is artfully documented in the pages of Back to the Lab. Intimate photos of the creators amongst their instruments, gear, record collections and ephemera offer unprecedented access. Notes about the producers, their environment and “essential” releases round out this love-letter to the underground. Alchemist, Ant , Babu, Dabrye, Diamond D, El-P, Flying Lotus, Dj Format, Georgia Anne Muldrow, Harry Love, Jale One , Jazzy Jeff, Joe Buhdha, Juco, Juliano, Just Blaze, Kenny Dope, Khalil, Lord Finesse, Mitsu the Beats, Oddisee, Oh No, Plutonic Lab, Rhettmatic, Sa Ra, Vadim, Waajeed & Young RJ. 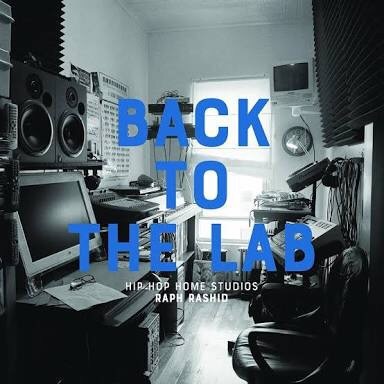 Tags: alchemist, Ant, Babu, Back to the Lab, Dabrye, diamond d, Dj Format, EL-P, Flying Lotus, Georgia Anne Muldrow, Harry Love, Jale One, Jazzy Jeff, Joe Buhdha, Juco, Juliano, Just Blaze, Kenny Dope, Khalil, Lord Finesse, Mitsu the Beats, Oddisee, Oh No, Plutonic Lab, Rhettmatic, Sa Ra, Vadim, Waajeed & Young RJ.